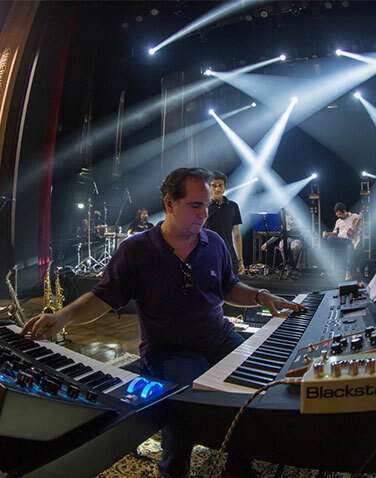 Concerto para Moviola, the new CD from Brazilian pianist, composer, and arranger Ricardo Bacelar, puts jazz fusion of the 1970s and 1980s in the spotlight with tunes by Weather Report, Pat Metheny, Yellowjackets, Antonio Carlos Jobim and other greats. The new recording documents a performance specially produced for the traditional Guaramiranga Jazz and Blues Festival, held annually in Guaramiranga, Brazil, during the renowned Carnival celebration. Recorded at the Via Sul Theatre, Concerto para Moviolashowcases Bacelar’s deep fascination with ’70s and ’80s jazz fusion, focusing on a blend of analog synthesizers, Brazilian music, and acoustic piano. The result is an excellent mix of classics composed by giants of the international fusion jazz scene, such as “Birdland,” by Weather Report keyboardist Joe Zawinul; guitarist Pat Metheny’s “So May It Secretly Begin”; and “March Majestic,” by Bob Mintzer of the Yellowjackets. Also included are Brazilian music gems such as “Sabiá” (Chico Buarque/Antonio Carlos Jobim), “Palhaço”’ (Egberto Gismonti/Geraldo Carneiro), “Água de Beber” (Antonio Carlos Jobim/Vinicius de Moraes), “Setembro” (Ivan Lins/Vitor Martins/Gilson Peranzzetta), and “Nanã” (Moacir Santos/Mario Telles). "I have taken great care to select music that I really enjoy. I made a record I would like to hear, which would please me and my friends, the ones who are fond of good music," Ricardo Bacelar declares. On Concerto para Moviola, the acoustic pianist and keyboardist is accompanied by guitarist/co-producer Ronaldo Person, drummer Luiz Duarte, bassist Miquéias dos Santos, violinist Marcus Vinicius Cardoso, keyboardist/percussionist Maria Helena Lage, percussionist Hoto Junior, and saxophonist/flutist Márcio Resende. 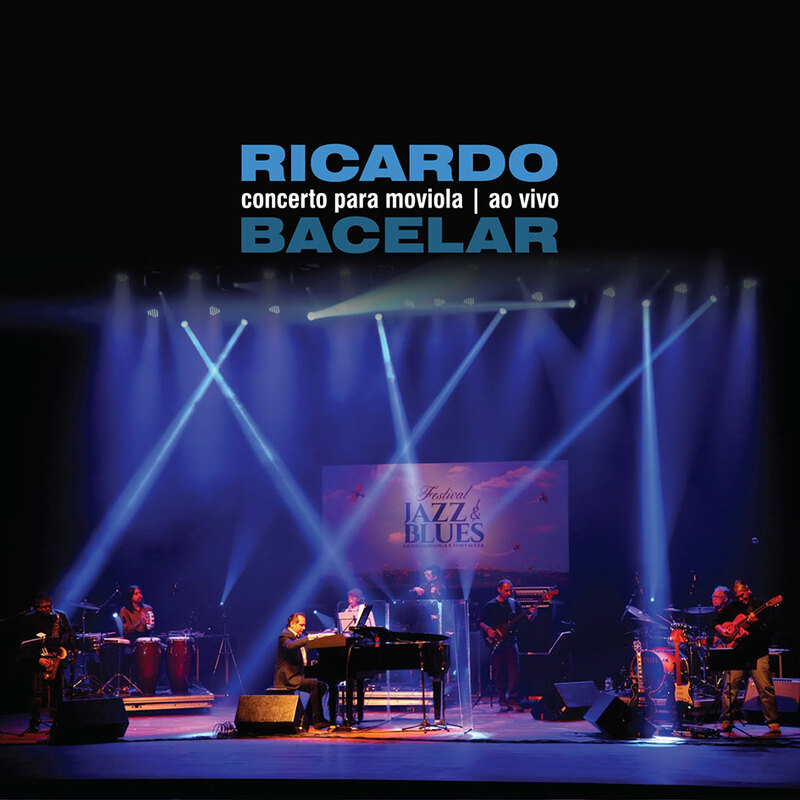 Concerto para Moviola is Ricardo Bacelar´s second album as a leader. His first CD, In Natura, also available on virtual platforms, consists of previously unreleased original tunes, delivering an intimate exploration of acoustic piano music. Bacelar was part of the band Hanoi Hanoi, which enjoyed wide commercial success in Brazil in the ’80s and ’90s. Besides his acclaimed musical abilities, Bacelar has a background in legal studies, making him an important figure in discussions in Brazil about copyright and cultural incentives, as well as a strong advocate of music education in schools. His work fighting plagiarism has been an important source of information for all Brazilian universities. A music student since his youth, Ricardo Bacelar defines his new release as "more joyful, different from the previous one, which was introspective." Concerto para Moviola documents the inspired musicians’ presentation, their strong approach to unusual themes, and their style of re-creating in a live performance fresh-sounding takes on classic popular fusion songs and standards, showcasing the characteristic freedom of jazz. In addition to the CD, DVD and vinyl, Concerto para Moviola is also available through stores and streaming services. Cordillera (Ricardo Bacelar): A lively, warm-up tune. Birdland (Joe Zawinul): A classic tune from the American band Weather Report, a standout ensemble on the jazz fusion scene. “Birdland,” a composition Bacelar heard a lot as a teen, is named after a New York jazz club where Weather Report keyboardist Zawinul (who also played with Miles Davis) was inspired by Charlie Parker’s solos. Weather Report included bassist Jaco Pastorius, considered one of the world’s best ever. Killer Joe (Benny Golson): A contemporary jazz standard. Bacelar favors Quincy Jones’s arrangement featuring brass, a lot of swing, and a pop beat. So May it Secretely Begin (Pat Metheny): Bacelar is a fan of guitarist/composer Pat Metheny, and has been an avid listener for many years. Bacelar chose this song because it showcases Metheny’s well-structured melodies. The Windmills of Your Mind (Michel Legrand): A modern arrangement of this popular tune gives it a bit more of swing. Senor Blues (Horace Silver): There’s an AfroJazz feel and lots of percussion on this version of a jazz standard from the ’50s. Enquanto isso, chove... (Ricardo Bacelar): Bacelar composed this song a few years ago, and dedicated it to his father, who is also a pianist. Sabiá (Chico Buarque/ Tom Jobim): É uma bela composição. Um primor de harmonia e caminhos melódicos surpreendentes. Palhaço (Egberto Gismonti/ Geraldo Carneiro): A well-known song by Gismonti, a Brazilian composer Bacelar greatly admires. 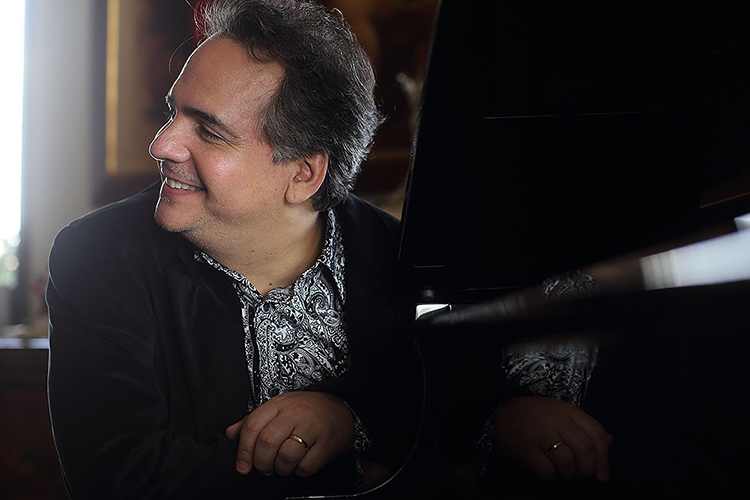 “I consider Egberto Gismonti a musical genius and whenever possible, I play one of his songs. We arranged as a baião at the end,” Bacelar explains. Apartheid Blues (Ricardo Bacelar): Another Bacelar composition, which was originally recorded with the singer/guitarist Frejat, from the Brazilian band Barão Vermelho, playing the guitar solo. Setembro (Ivan Lins/Vitor Martins/Gilson Peranzzetta): A piece that highlights Ivan Lins’s harmonic skill; Bacelar recorded it at a faster tempo than the original. Água de Beber (Tom Jobim/Vinicius de Moraes): Bacelar cites this piece as a “jewel of Brazilian music”. Nanã (Moacir Santos): Moacir Santos was a great arranger and a maestro of Brazilian composition. “Nanã” features lots of percussion. The Groove (Brian Culbertson/Larry Dunn): Here, the band “mixes the spices” with a funk and afoxé fusion. Blue Miles (Chick Corea): Pianist and composer Chick Corea “greatly inspired” Bacelar: “He influenced me a lot in my teens and in my way of playing. A great master who is still active in music.”. Ricardo Bacelar "Concerto Para Moviola (Ao Vivo) "